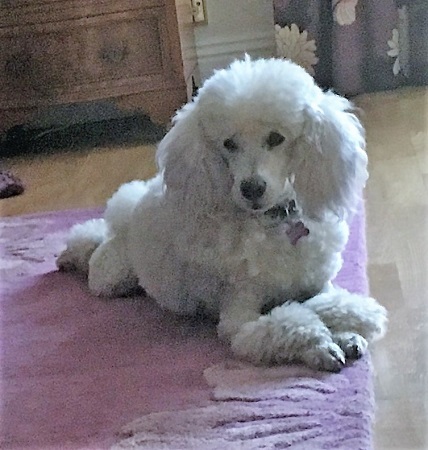 14/7/2018 Gorgeous Bradley has been adopted – no surprise there! Just how gorgeous is Bradley? 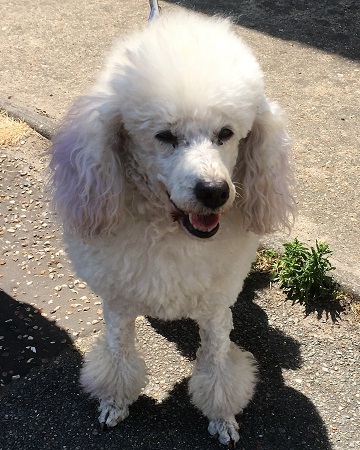 He has come into the care of Rovers Dog Rescue in Essex due to his owner going into assisted housing and will surely make a lovely addition to any new home. 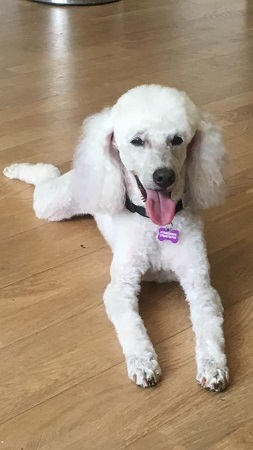 Bradley is a 9 year old, white, miniature Poodle and he is now living in foster care with other dogs and is very good meeting dogs out on his walks. His previous owner said he wasn’t bothered by cats, so he possibly could live with one subject to introduction. Bradley has been fine with visiting children but he doesn’t like to be pulled around, so an adult home is preferred. Bradley is a fairly calm boy but excitable when his human comes home and initially before a walk. He loves his human and so wouldn’t want to be left long periods. He would be happy to lounge around all day with his human and a regular walk. 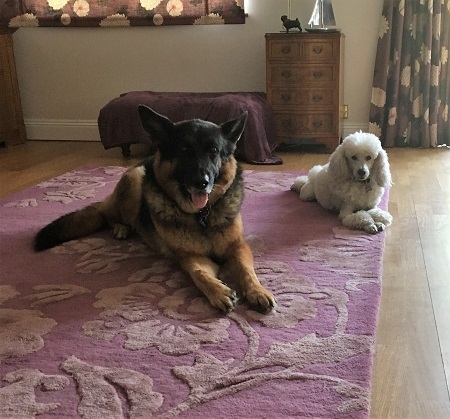 He is very loyal to his human but can become a little possessive which is being worked on in his foster home and he is doing well. Bradley is in good health and has no known medical conditions. He has been neutered.